We’ve all heard the saying “preparation is key” and like anything in life that is important to us, or a goal we want to achieve, we usually prepare for it. My whole life I have prepared myself for exams in school, job interviews, moving overseas and running a marathon, so why wouldn’t I prepare for the biggest event to ever take place in my life. Preparing for a baby only made sense and came natural to me. My preparation for pregnancy started early last year when I watched an incredible video podcast on TED Talks called “The Toxic Baby”. Watching this blew my mind and opened my eyes to the dangers I could potentially be exposing my future unborn children to. This video podcast lead me to do my own research and I then came across an astonishing study that so many of us are not aware of. According to this study over 200 industrial chemicals and pollutants were found in the umbilical cord blood. The blood harboured pesticides, consumer product ingredients and wastes from burning coal, gasoline and garbage. 180 chemicals detected cause cancer in humans, 217 chemicals found are toxic to the brain and nervous system and 208 chemicals cause birth defects or abnormal development. With this new and shocking information fresh in my mind, I was certain the chemicals and toxins that were currently in my body, would be passed onto my unborn child in my womb and that did not sit well with me at all. Even though I had already been living a very holistic lifestyle for a couple of years, I wasn’t naïve to think my body was pristine clean and that I myself wasn’t harbouring any pollutants, especially environmental toxins. Realising this really got me thinking about what I could do to reduce the risk of passing the toxins in my body onto my future unborn child. 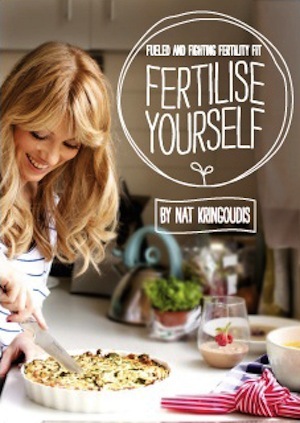 I went on to read a highly informative Ebook written by the amazing Nat Kringoudis called “Fertilise Yourself”. This book really planted the seed of optimal fertilisation and gave me the building blocks I needed to get my body ready and super fertile! I also learned from Nat that at the time of conception, a child will directly inherit the gut health of the mother. This resonated with me and became a primary focus for me to acheive optimal gut health so that I could give my baby strong gut health to start it’s life with. 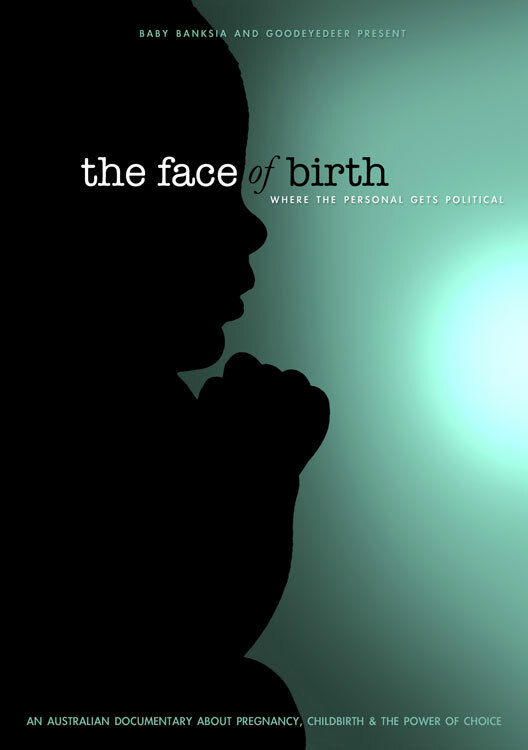 Finally, the icing on the cake was then watching a brilliant documentary called “The Face of Birth”. After learning all of this new, empowering, inspiring information, I became a woman on a mission. I decided that for at least 6 months before my husband and I would try for our very first baby, I would do my absolute best to detox, cleanse, restore and revitalise my precious body. My goal was to get myself and my baby maker bits in tiptop condition before I created a new life. This is how I prepared myself for pregnancy. Even though I was already living a cleansing lifestyle, I knew needed to take it to the next level, if I really wanted to move out any toxic residue trapped in my body that I didn’t want passed onto my unborn child. So I cleansed in the form of colonics (only from the Release Wellness Centre), green juice cleanses, coffee and lemon juice enemas. When it came to household chemicals and pollutants I used as little plastic as possible, I cleared out my cleaning products and used only natural ingredients such as baking soda, vinegar and lemon juice to clean with. My personal beauty and hygiene products were kept simple and again very natural and chemical-free. Coconut oil became my best friend and I used it on my hair, face, body, teeth, almost everywhere. I also cook with stainless steel products and store food in glass containers. From cleaning products to personal care products, even cooking products, I did my best to minimise pollutant and toxin exposure. Nutrition I knew would 100% play a vital role in getting my body in perfect condition and it was something I focused on a lot. I always ate organic and if at times couldn’t buy organic I would wash my produce in apple cider vinegar, removing as much pesticide residue as possible. I drank alkaline water from BPA free bottles and used it in all of my cooking as well. Warm lemon water was always a must first thing in the morning along with adding apple cider vinegar to my drinking water throughout the day. Both are powerful natural detoxifiers. Ina May Gaskin, a world renown midwife states that “gardner’s know that you must nourish the soil if you want healthy plants. You must water plants adequately, especially when seeds are germinating and sprouting, and they should be planted in a nutrient-rich soil. Why should nutrition matter less in the creation of young humans than it does in young plants?”. There are also specific foods both men and women can eat to increase fertility and my husband and I ate a lot of them! Along with the information I had already learnt, I was eager to learn even more. I went on to watch more brilliant documentaries called “Microbirth” and “The Business of Being Born”. I studied many more articles written on gut health and the importance of it before, during and after pregnancy. Knowledge is power and the more information I learnt, the more I felt empowered and totally capable of creating a perfect inner environment for my future children. When the time finally came to try for a baby, I felt fertility fit. I knew I had prepared myself in the best way possible and I was ready. I can happily and fortunately say I very quickly fell pregnant at the start of February this year. Now I know some may say it is sheer luck, and I fully believe creating life is an absolute miracle but I can hand on my heart say, I know the hard work I put into preparing myself for pregnancy, paid off in the end. Today I am 22 weeks pregnant with a healthy and happy little miracle wriggling away every day. I hope by sharing my story, it helps to inspire positive action and encourage many other amazing women out there to prepare themselves for the most miraculous experience of life. Every mother wants the best start to life for their child, for me that doesn’t start the day the child is born it starts much earlier than that, even before life in the womb. It starts by preparing ourselves for pregnancy so that we don’t pass on industrial chemicals, toxins and pollutants, and creating a healthy environment within us, ready for a young human to truly flourish, grow and thrive.